Most focus since the revolution has been on political matters, and these have yet only partially been achieved. The achievement is significant, as Egypt now has a parliament freely elected by its people. Yet the primary lesson learned by the population is that if you have a grievance, fill the streets. A few weeks ago I was assisting American documentary filmmakers obtain an interview with a Coptic priest and a Salafi sheikh, the latter of which was running for parliament with the former’s support. The couple is producing a film entitled ‘One Hand’, which focuses on youthful and unique expressions of national unity. They had other business in Asyut, and I was to meet them with the priest in Maghagha. My train arrived as usual from Cairo, but coming from Asyut was another story. With the priest I waited at the station, and waited, and waited. Finally we learned that nearby villagers decided to escalate their protest against the local government for failing to deliver the normal supply of gas bottles needed for cooking. The shortage prompted a huge increase in price on the black market, so they decided to block the railroad tracks. At this news we knew it could be hours, though probably not days, until the track was opened again. The priest and I drove an hour south to collect them on the side of the tracks. For whatever reason, the task was complicated by the fact there was very poor cell phone coverage, but we managed to speak with their neighbor who assisted them in their disembarkation. The filmmakers spoke very little Arabic. ‘I know,’ I replied smiling still. We got in the car quickly and drove away, with both exhaustion and a sigh of relief. The long delay made little impact on their work, as the sheikh was not free until near midnight to begin a very friendly and welcoming interview. The next two examples come from a Nile cruise on the occasion of Julie’s parents visit to Egypt. We boarded the sleeper car from Cairo and unloaded in Luxor, very pleased there was no railway protest to extend the journey. Yet after the first few local sightseeing locations we noticed something strange. We got on a bus and drove over an hour away to board our cruise and spend the night. The next day we repeated the same ritual, only delayed an additional two hours. 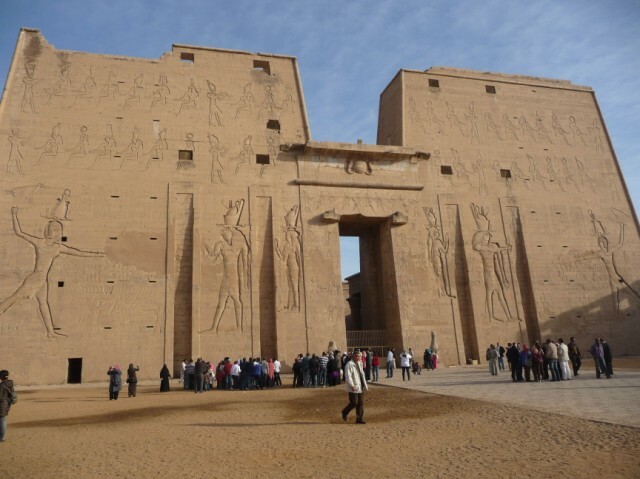 There are many ancient Pharaonic sites to see in Luxor, and both the delay and the absurd driving distance played havoc with our scheduled itinerary. The normal agenda is to get off the train, see the sites, and then board the boat right there in Luxor, stopping at all the tombs and temples along the way. Unfortunately, we learned the workers at the canal lock in Isna were on protest, refusing to let any boats past. They began their sit-in on the 25th of January, to commemorate the revolution. This left the boats in Luxor stranded, but fortunately our boat was trapped on the other side. This explains the hour plus bus ride after we finished sightseeing. 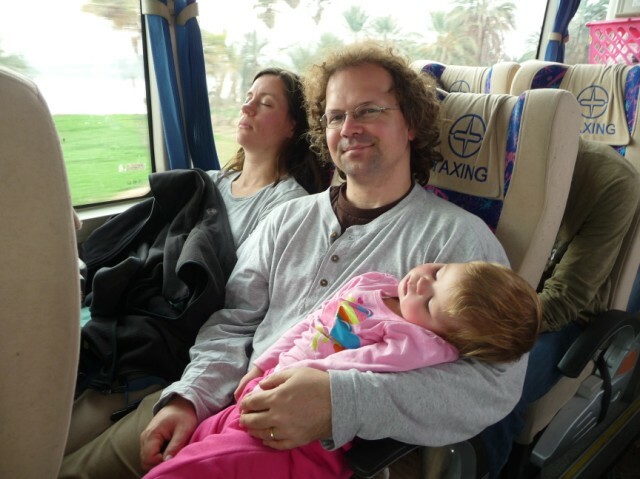 We had to drive south to Isna in order to spend the night in our cabin, and then return the next day for Luxor sites, day two. Only the next morning we encountered another post-revolutionary difficulty. The nation as a whole, but Upper Egypt especially, has suffered periodic gasoline shortages. The bus, we learned, was desperately searching for an open tap. After several hours delay, a different bus met us at the dock and filled up from the boat’s supply of gasoline. I’m not sure there weren’t other shenanigans we weren’t being told, but we did see long lines of vehicles at the gas stations we passed on our way back to Luxor. I’m also not sure who’s bottom line must accommodate the extra costs of bus and gasoline – travel agent, cruise, tour guide – but the blow to tourism is substantial. Other tours which knew of the lock strike at Isna cancelled their trips altogether. Later on in our tour we had a pleasant outcome from local instability. 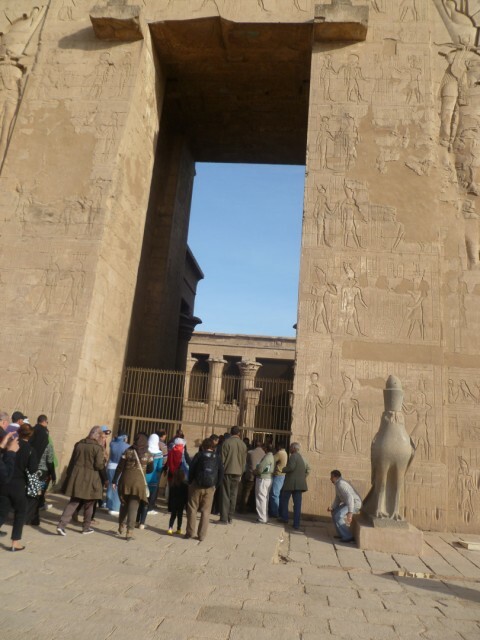 Our boat docked in Edfu, but the captain told everyone the tourism workers at the temple were all on strike. The rumor circulated but before it had time to settle in the guide rounded everyone up and we went ashore. From there, we rode horse drawn carriages to the site of the temple. What we didn’t realize until later is that our carriages stopped at the back side of the temple. We passed along an open area along the wall of the massive complex, circled to the temple gate, and moved through en masse. At the entrance of nearly every tourist location there is a small area to mill about where the grandeur is open to all onlookers. Then there is a welcome center where a ticket is purchased and then a souvenir section where tourists – foreigners especially – are all but assaulted by desperate sellers. We skipped all this. By coming in the back we avoided whatever protest prevented entry from the front. At the temple gate some semblance of guard took money from every tour guide, but then allowed the group in without tickets, no questions asked. Ticket prices for Egyptians range from 1-5 LE ($0.18-0.80 US), but foreigners must fork over between 35-80 LE ($6-13 US) depending on location. It is still minimal, but it was a nice surprise – pleasant also, as we avoided the souvenir gauntlet. Fair enough, but how can this point be enforced when there is a window of opportunity now? Forty percent of Egyptians live on under two dollars a day, wages are low even in the middle class, and few people have benefits of any kind. The revolution has changed political leadership, but not so much at the regional level. Protests have proved effective for many in getting what they want – which could be as basic as a living wage. Who knows but if they wait longer the system will reset itself and local leaders will pay as little concern to their needs as before? In many ways, the problem is one of trust. President Mubarak allowed the failure of the social contract which ensures domestic stability. Open political participation was minimal, but so was food on the table. As Egyptian institutions eroded from the inside, it will take a long time to rebuild following the revolutionary collapse. Unless such a contract is widely renegotiated, small and localized strikes will – and perhaps reasonably – continue. Who pays the bill? Is it reasonable for the average working Egyptian to wait until the Muslim Brotherhood, elite liberals, and the armed forces get around to a new economic policy? If so few cared for their needs then, should they trust anyone will care now? Perhaps they will. The only one of the three to demonstrate practical concern for the poor were the Islamists, who have now been widely elected to parliament. It is fair to ask if Islamist concern is opportunistic or transformative, but many have worked sincerely. Will they follow through? Will they be allowed to? Will the people wait? If so, for how long? Revolutions are not easy, and the pain can linger even after resolution. Egyptians are among the most patient people on earth; they are now being put further to the test. 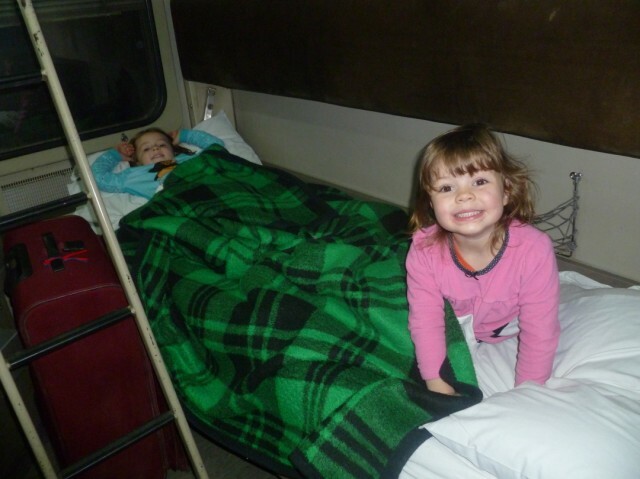 On the sleeper train ride home I woke at about 2am from a lack of movement. It is difficult to catch shut-eye while the car lurches back and forth, but I was able. After about 45 minutes of standstill, however, I inquired. A baggage handler told me there was a train driver strike over assignments on the newer cars, which also came with a higher compensation. Our car was newer, and despite my complaints above was much smoother than the older model we semi-suffered on the way south. The handler assured me things would be settled soon, so I used the calm to get back to sleep. It worked, as I was unaware of another long delay that woke my wife around 4am. In the morning I asked the porter about the delays. He replied there was just a normal backup of several trains at a particular station. Asking more specifically about a strike, he denied anything of the sort. I think I ran directly into the noble Egyptian quality of saving face. In the end our scheduled twelve hour trip took sixteen. I don’t know if the drivers got what they wanted, or how it came about we did not spend an additional evening or two in the sleeper car. I just hope Egyptians remain patient as their lives accommodate such disturbances at an increasing frequency. I suppose if everyone is doing it, it is easier to forgive. Today the media carried the news that a Luxor-Cairo train the day after our travels was attacked by thugs who tried to steal luggage from car number five. The passengers successfully beat them off.